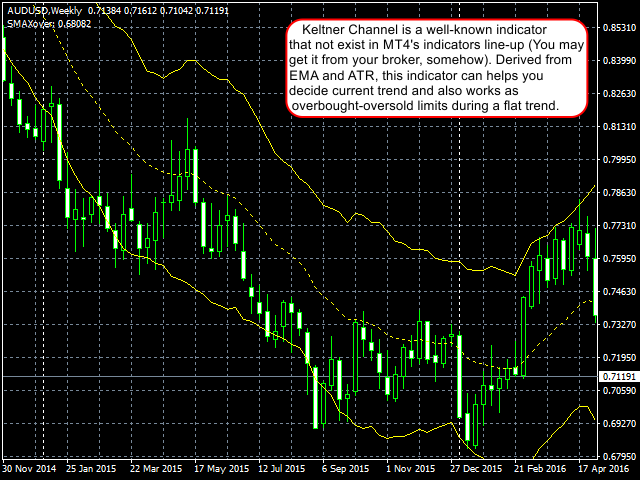 Keltner Channel is a well known indicator that not in MT4's indicators default lineup (You can get this from your broker somehow). 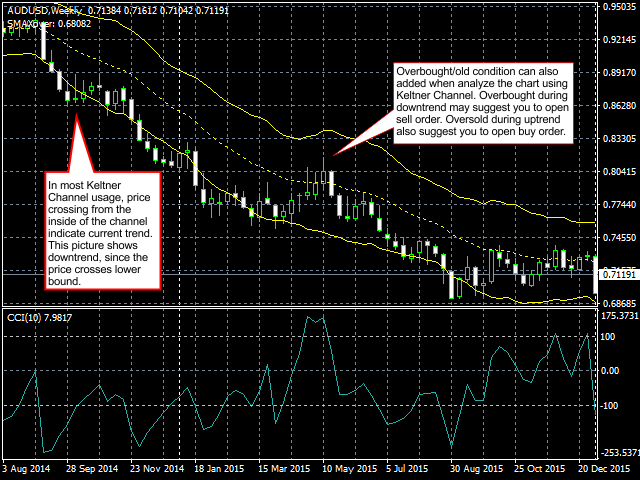 This indicator helps you to define trend and sometimes overbought/oversold prices during flat trend. EMAperiod: Moving Average period used for indicator. Must be higher than 1. ATRperiod: Average True Range period used for indicator. Must be higher than 1.
multiplier: Multiplier used for determine channel's wide. Must be higher than 0 but may not be integer. shift: Give an additional shift to the channel.